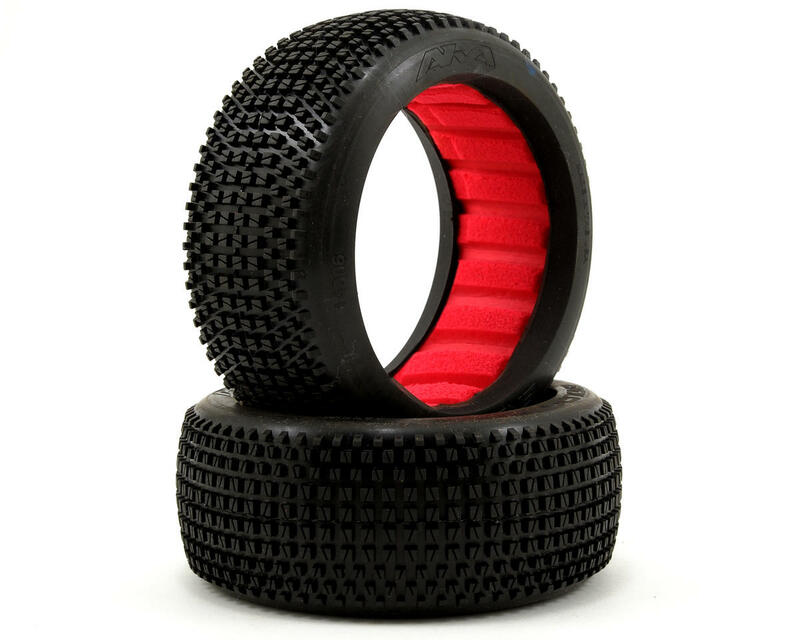 This is a set of two AKA Racing Enduro 1/8 Buggy Tires. 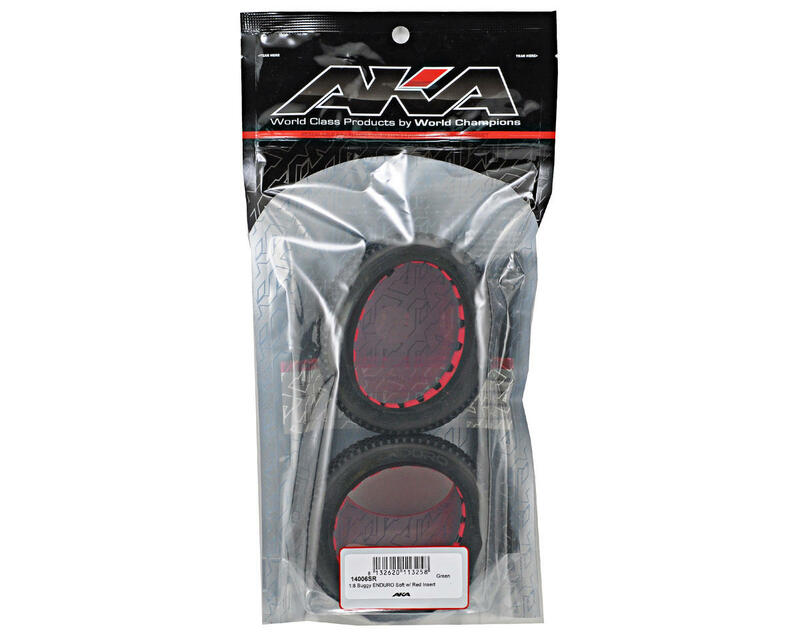 These tires include AKA Red inserts. The ENDURO was designed with larger lugs that have been cut in various angles to provide you with great tread life but also give the lugs enough flex to give you the bite you need on a variety of different track conditions.